Customers will take notice when you use personalized trading cards to promote your business. Trading cards have been used since the early 1900s when baseball trading cards were first introduced as a way to entice young boys to purchase chewing gum. Since that time, almost every sport imaginable has had a set of trading cards dedicated to star players and rookies alike. Most recently, collector's cards have taken on a life of their own with such popular crazes as the Pokémon and Chaotic collector card games. Now, you can take advantage of custom trading card printing to create your own personalized trading cards to accompany your products. Use our custom trading card printing service to create unique trading cards or a collector's card game that both children and adults will enjoy collecting. 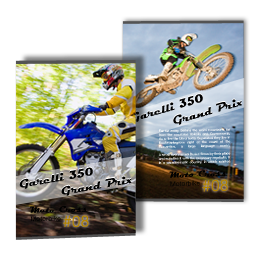 The personalized trading cards design should include your company logo and contact information prominently displayed in vibrant colors on one side, with the image of your choice on the other side for the best custom trading card printing results. Before you know it, you may need to increase your collectors cards printing orders because customers are buying more of your products in order to collect an entire set of your business's personalized trading cards. You will be pleased that you used a custom trading card printing service when you begin to receive calls from customers wondering when the next collectors cards printing order will arrive. With custom trading card printing, you will be able to offer your customers the highest quality available in collectors cards printing. Each card comes in either 14 pt or 16 pt card stock and features a durable UV-Coating on both sides to allow the cards to last through hours of play. Your personalized trading cards will be created in the standard 2.5 x 3.5 playing card size. The standard turnaround time is five to eight business days, but rush turnaround is available for 14 pt paper orders. Take advantage of collectors cards printing today to market your company's products in a creative but affordable way.